The rise of the superteam in the new qualifying format is providing to be hugely entertaining! Over on the team side at WODAPALOOZA, the superteam ROMWOD/WIT claimed victory and punched their ticket to Madison. Comprise entirely of CrossFit Games® veteran athletes: Jamie Greene, Jessica Griffith, Cody Mooney, and Alec Smith convincingly swept aside the competition. The significant changes to the landscape and qualifying process for the 2019 season have already had a large impact on the Team category at the CrossFit Sanctional® events. Check out the new Superteams that competed at WODAPALOOZA. Jamie Greene, Jessica Griffith, Cody Mooney, and Alec Smith. CrossFit Invictus: Rasmus Andersen, Tommy Vinas, Regan Huckaby and Lauren Fisher. Chandler Smith, Mekenzie Riley, Chyna Cho, Jordan Cook. Rich Froning, Tasia Percevecz, Kristin Miller, Dre Strohm. 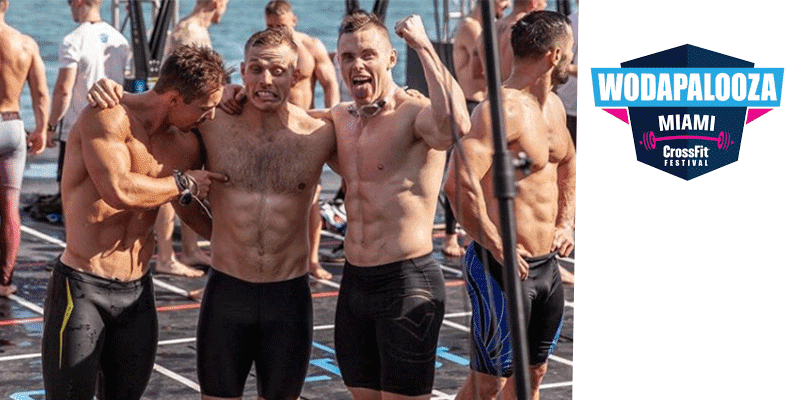 On the male side, FOODSPRING ATHLETICS won with a superteam comprising 3 of the best male Crossfitters in Europe: Adrian Mundwiler, BK Gudmundsson and Jonne Koski. Cass, Jenn & Kristi from CrossFit Waterside took victory in the female division. Jennifer Smith, Kristi Eramo and Cassidy Lance-McWherter banded together to create another superteam.